in this issue of Chongqing Stories, we will talk about Liziba, another famous site in Chongqing. 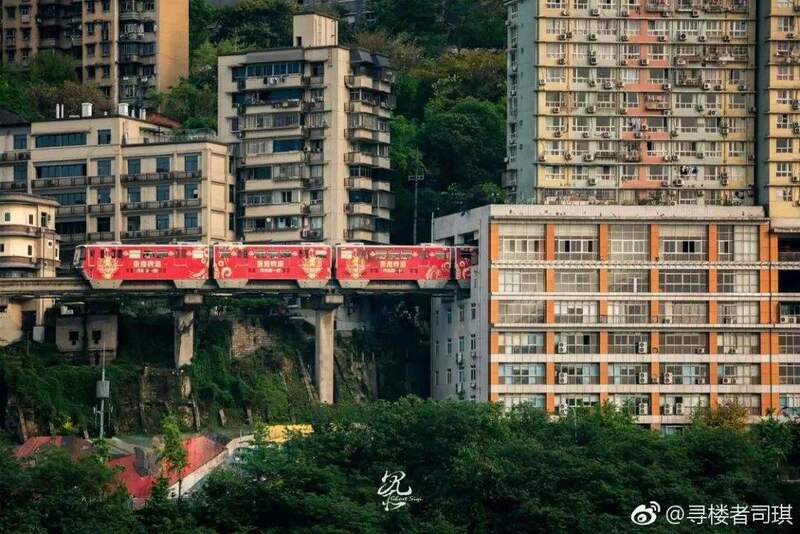 Recently, through social media apps such as Weibo and Douyin, Liziba subway station has become another web celebrity in Chongqing after Hongya Cave. It is the first monorail elevated subway station co-built with commercial and residential buildings in China. Therefore, since the beginning of this year, many tourist agencies have added a stop at Liziba railway station in the “one-day tour of Chongqing”. In addition, Liziba has also been on different foreign media front pages as symbol of a new Chongqing. So what’s so special about Liziba? We decided to go there and look around. Walking out of the railway station, we saw a lot of people standing on the sidewalk, with their cameras pointed towards the subway track. We spoke to Chen, a woman from northeast China, who was in Chongqing to visit Hongya Cave, experience Liziba subway station and taste local cuisine. Speaking of food, we recommended her a restaurant called “Liangshan Chicken”, where you can find very typical Chongqing-style dishes. After saying goodbye to Ms. Chen, we walked on and met an old man in a training suit. We asked him to tell us something about the history of Liziba. The grandpa, named Zhang, was very familiar with the development and vicissitude of Liziba because he has been living here since young age. 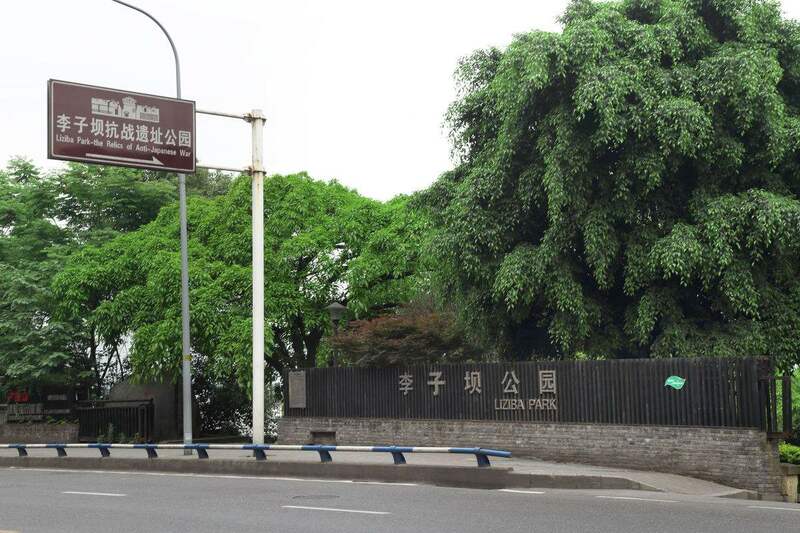 He took us to an unobtrusive intersection with the sign “Liziba Site Park of War of Resistance of War Against Japanese Invasion”. Pointing to the three buildings on the right side of the park gate, he told us that those were the “Gao Family Mansion”. Gao Xian, a businessman and educator in Chongqing, built the Mansion in 1938 and, since the beginning, celebrities from all walks of life often gathered here. Inside the mansion there was a garden where you could find the “Garden Restaurant”, one of the most fashionable and high-end restaurant in Chongqing back when this city was the capital of China. In this very restaurant, Chiang Kai-shek and Soong Meiling even entertained foreign guests. 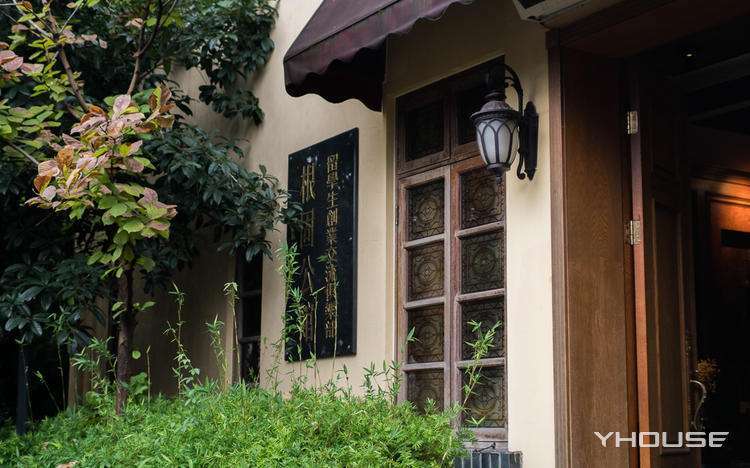 After the war, the garden was gone and “Gao Family Mansion” turned into Yan Jiyuan Art Gallery and the village of painter. Mr. Zhang recalled also the existence of another famous building: the “Gengu mansion”, residence of Liu Gengu, a general of the Sichuan army. General Liu became famous when he hired a man named Jiang Kui to build a bomb shelter for Chongqing. During the Japanese bombardment, the bomb shelter saved the lives of tens of thousands of citizens. Zhang also told us that his uncle met a girl inside the bomb shelter, and they both survived the war thank to the shelter and eventually got married. We didn’t expect to hear such a love story during that time and that situation of our country. Walking out of the park, grandpa Zhang took us to 102 main street of Liziba where we stood in front of a small structure made of three layers of bricks. Li told us that this is the former site of Ta Kung Pao. 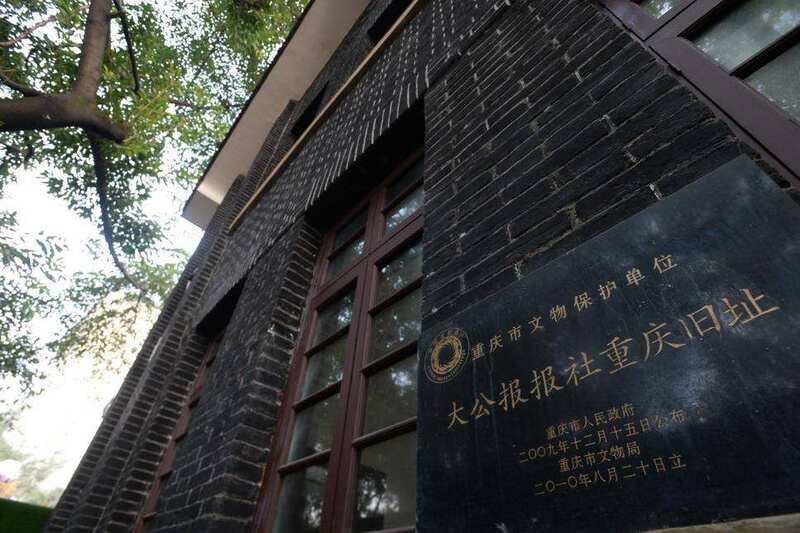 Founded by Catholics in Tianjin in 1902, Ta Kung Pao is the longest published Chinese newspaper in China, also one of the most influential newspapers before 1949. During the Anti-Japanese War, following the decision of Nanjing Government, the newspaper company moved to Chongqing in 1938. After that, it became one of the most important newspapers in Chongqing and even in China, with the highest daily sales of 100,000 copies. It was an important source for the outside world to know about the war in Chongqing and the process of Anti-fascist War. When the newspaper company moved away after the war, the houses were left empty and the history was forgotten. Grandpa Zhang lamented that after his generation probably no one would know there was such a site of Anti-Japanese War. We think this is the true story that Liziba should be known beyond the railway station. 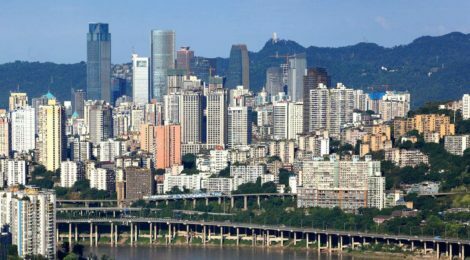 Therefore, through our Chongqing Stories, we hope to help our readers to understand more about Chongqing, its people and history.